Enterprise Social Network community managers, you thought you had it so good. You’ve deployed your online employee community, and you’re working hard to maintain engagement, drive business value and help employees build relationships that strengthen the company’s informal social network. Your CEO is active (finally!). 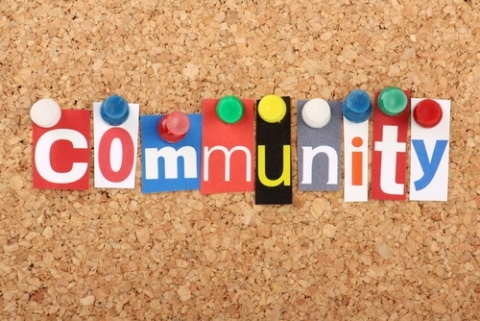 New and old employees alike have adopted the community as a critical communication tool. Embedded activity streams make your SharePoint site seem alive again, everything seems to be going smoothly … at least, until now. I’m not forecasting a bleak 2014; social business is here to stay. But what I am predicting is that this year will be filled with challenges like you’ve never experienced before. In the past, your challenges have mostly been rooted in internal issues, such as gaining executive buy-in for a community and ensuring technical and data security with IT. What you’re going to experience now are attacks and challenges to your community that come from completely external forces — startups, major tech websites and people who have no business involving themselves in your social efforts. Welcome to 2014, the Year of Trouble and Worry for ESN community managers. Over the course of the next twelve months, prepare for these external forces to undermine your work, attack your community’s standalone value, ignite really bad ideas in your manager’s head and micromanage some employees’ attitudes toward work. I predict that you’ll soon begin to experience the woes of fending off outside companies and individuals who want to capitalize on the success that you’ve created with your enterprise social network. You’ve done a good job, community managers, and now it’s time to defend your community and the delicate balance of technology, culture and relationships in which it thrives today. The Enemy: Small tech startups with “data” products and apps that attach to your enterprise social network. Why this is a Problem: Your ESN probably provides all of the features and apps that you need already, as well as APIs and extensions that let you analyze data or create your own apps for your business needs. Add-on vendors who claim to offer better / faster / deeper solutions that sit on top of your ESN likely don’t understand the nuances of the top-tier ESN products or the data that they generate. Underlying data tables and social interactions are unique to each vendor’s product, leaving only somewhat superficial data to be “analyzed.” As I have noted previously, the concept of ESN data driving value is flawed; I’m weary of solutions that purport to offer insights based on nothing but ESN usage data alone. Quantities of messages, “likes” and popular topics mean nothing without their cultural context. Best Case Scenario: You become an API data-extraction rock-star, and when you’re pitched by “me-too!” data-analysis startups, you shoot down their pitch with a solid one, two punch. Worst Case Scenario: When you say “no,” startup salespeople go over your head to your boss, IT, marketing and the social media team — all of whom are well-intentioned but uninformed about the specifics of your ESN’s structure and data analysis landscape. A flurry of internal stakeholders rushes to you with this “great new data app” that they’ve been pitched, and you’ll be the one to let them down with a dose of reality. The Likely Reality: Mid-size and large companies have already budgeted for collaboration and social tools, including data analysis or professional services from the ESN vendor who understands what data is captured as well as how. While SMBs may be tempted to try new data-analysis apps, bigger companies with data security regulations and steady-state ESNs will politely decline an intrusion by another vendor. Threat Level: Trouble and Worry. Arm Yourselves. Why this is a Problem: With 259,000,000 users volunteering their resumes, contact information, expertise and connecting with their colleagues, LinkedIn is building an unprecedented global directory of people and their relationships to each other. While on the surface LinkedIn appeals to employees as a great way to find a job and keep up with industry trends, its ability to mine and map the data that users share is incredible. Already, LinkedIn boasts that 91 percent of the Fortune 100 use (read: pay for) “talent solutions” products. I predict that in 2014, LinkedIn will finally decide to jump on the internal social networking bandwagon and offer companies private spaces for employees to connect, collaborate and share work-related information with each other.